Since the day of the Parkland, FL high school shooting, anti-gun lawmakers have been working overtime to use their current momentum to hammer gun control laws into place in state legislature across the country. But if they were truly serious about finding ways to stop violent crime, anti-gun lawmakers and activists alike could start by offering a sincere apology for helping foster environments that all but cater to mass shooters. That’s because in the last 10 years, a sickening 300 people have been murdered in so-called ‘Gun Free Zones,’ places where legislative leaders have outlawed self-defense. So whether or not the state has enacted ‘Shall Issue’ or ‘Constitutional Carry’ legislation does not matter, as gun owners in these locations are required to disarm. The stories below are the real world impact that gun control has on society; all of these shootings occurred in places that were declared ‘Gun Free Zones’ (GFZ) by state or federal law, or corporate policy. These should serve as a strong reminder to gun owners to never surrender an inch, because real people really die when they are unable to fight back. In case number 1, from April of 2018, Travis Reinking walked into a Tennessee Waffle House and opened fire killing 4 people and wounding 4 more. Waffle House has previously gone so far as to boot uniformed soldiers out of their stores because they were carrying pistols, in violation of their GFZ policies. No one will forget case number 2, from February of 2018, when Nikolas Cruz walked into the Parkland, FL high school and shot and killed 17 people and wounded 17 more in a GFZ. By law, all schools in Florida are GFZ’s. The Sutherland Springs, Texas church shooting, from November of 2017, case number 3, gripped the nation as 26 innocent people were murdered by Devon Kelley, while another 20 were wounded in a GFZ. The shooting was stopped by an armed neighbor with an AR15. 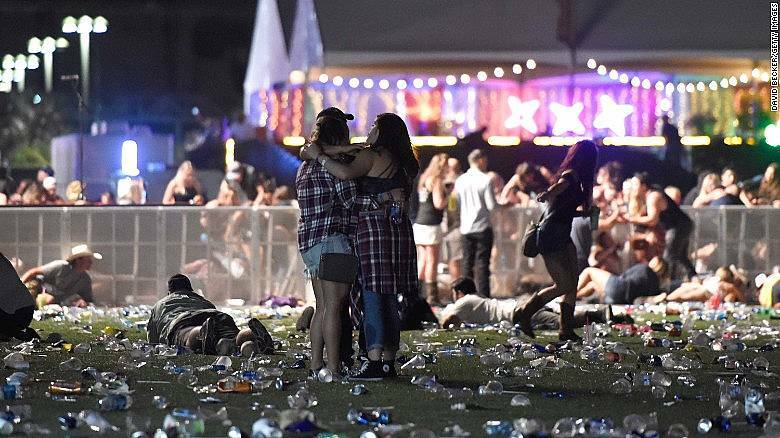 Stephen Paddock murdered 58 people and wounded 422 more while they attended an outdoor concert in Las Vegas, NV in October of 2017, in case number 4. Both the venue where the concert was held, and Mandalay Bay where the shooting came from, are GFZ’s. Corporate policies ban all firearms at Fiamma Manufacturing, the scene of case number 5, and that means there was no one able to stop disgruntled former employee John Neumann when he showed up in June of 2017, murdering 5 people in retaliation for being fired. In case number 6, Esteban Santigo claimed his firearms at the baggage carousel in the Fort Lauderdale, FL airport after flying in from Alaska in January of 2017. He loaded them in the bathroom, and then opened fire in the GFZ portion of the airport. 5 people died, while 6 more were wounded in this incident. The Cascade Mall, like most malls in America, is a GFZ. The parent company, the Macerich Group, bans firearms on all of their properties. In case number 7, Arcan Cetin took a Ruger 10/22 into the mall and killed 5 people on September 23, 2016. When a self-avowed terrorist sympathizer Omar Mateen decided to commit an act of terror in the name of Islam, he chose and GFZ night club to attack. In case number 8, 49 people were murdered while 53 were wounded in an attack that lasted for hours. The attack occurred on June 12, 2016. Uber is well known for their GFZ policies. And in case number 9, an Uber driver named Jason Dalton killed 5 people at three different crime scenes in February of 2016, while in his car and on the clock for Uber. For case number 10, a husband and wife terror team (Syed Farook and Tashfeen Malik) attacked the Inland Regional Center in San Bernardino, CA during their employee Christmas party in December of 2015. The facility is a GFZ. 14 people died at the scene, and 22 more were seriously wounded. When Christopher Mercer attacked the Umpqua Community College in Roseburg, Oregon in June of 2015, he might not have known that it was a GFZ. But in case number 11, where 9 people were killed and 8 more wounded, no one was able to fight back. This included Chris Mintz, who was wounded. Mintz, a young military vet whose decorations include the National Defense Service Medal, the Global War on Terrorism Service Medal, and the Army Service Ribbon, was unable to fight back and was shot 5 times. Churches are GFZ’s in many states. That was the case in Charleston, SC in June of 2015, when Dylan Roof attended a prayer service before killing 9 people and wounding 1 more. Call it case number 12. All schools in Washington state are GFZ’s, including the Marysville Pilchuck High School, the scene of case number 13. In October of 2014, a student named Jaylen Fryberg opened fire in the school’s cafeteria, killing 4 and wounding 1 more. The Navy Yard in Washington D.C. is a GFZ. But that did not stop Aaron Alexis from walking inside with a Remington 870 shotgun on September 16, 2013. In case number 14, 12 people were killed while an additional 3 were injured from gun fire before Alexia was killed by SWAT team members. Case number 15 will be forever etched in the minds of most Americans. The Sandy Hook Elementary school shooting took place on December 14, 2012, in Newtown, CT. 27 innocent people died in the shooting carried out by Adam Lanza while 2 more were wounded. The shooting sparked what would, ultimately, be a failed effort on the part of President Obama to enact sweeping gun control legislation. In another failed example of corporate gun control, Andrew Engeldinger shot and killed 6 people (wounding 2 more) after being fired from his job in September of 2012. The company, Accent Signage Systems, is based out of the Minneapolis, MN metro and was and remains a GFZ. Call it case number 16. Another church was the scene of case number 17. A Sikh Temple, located in Oak Creek, WI, was attacked in August of 2012 by Wade Page. Fueled by racial hatred, Page waited until the congregants were at church and unable to carry firearms before he launched his attack. 6 members of the church were killed, while 4 more were wounded. Case number 18 lead to sweeping gun control legislation passing in Colorado, as anti-gun lawmakers reacted to a July 20, 2012 shooting in an Aurora movie theater that left 12 dead. Another 62 were wounded by gunfire and tear gas. The shooter, James Holmes, would later state that he decided against attacking an airport because of their ‘substantial security.’ The theater Holmes chose was the only GFZ theater in the area. In another case of Islamic terrorism, U.S. Army Major Nadal Hasan opened fire in the Solider Readiness Processing Center in November of 2009 at Ft. Hood, located in Ft. Hood, Texas. In case number 19, 14 people were murdered while another 33 were wounded. Hasan, who had been in direct communication with terrorist leader Anwar al-Awlaki, fired 214 rounds in this attack before finally being shot by responding officers. And yes, this was a GFZ where active duty soldiers are prohibited from carrying. In the deadliest attack in New York State since 9/11, Jiverly Voong opened fire at the American Civic Association immigration center on April 3, 2009. The facility is a school for purposes of NY law, meaning it is a GFZ. 13 innocent people died in this attack, and 4 more were wounded, before Voong took his own life. It took police 43 minutes to set foot in the building. Call it case number 20. Twenty cases in the last ten years. Twenty times where a madman was able to walk into a school, a church, an office complex, or a theater without having to worry about armed opposition. The sheer numbers are absolutely staggering. 662 received life altering gun-shot wounds. Tens of thousands of family members forever impacted. And please understand that there are far more cases than these twenty. Not included in this report are at least a dozen more cases where ‘only’ 2-4 people died, the kind of stories that most never hear about. Despite this, gun-grabbers are trying to make more and more places off limits to gun owners, smugly telling us that an untrained citizen might hurt themselves or someone else. Tell that to these 962 dead or wounded people. Tell that to their survivors. Gun rights activists need to remember these numbers when dealing with lawmakers and others who want to disarm us or pass additional gun free zone laws. We are not arguing over a cold, abstract theory. Real lives are saved or lost every day in America based in large part on whether the intended victim is armed and able to shoot back or not. Gun rights activists need to redouble their efforts for next session, and should show as much political mercy to gun grabbers as the 20 shooters above showed to their victims. ← Michael Bloomberg to Spend 100 Million to Advance Gun Control!